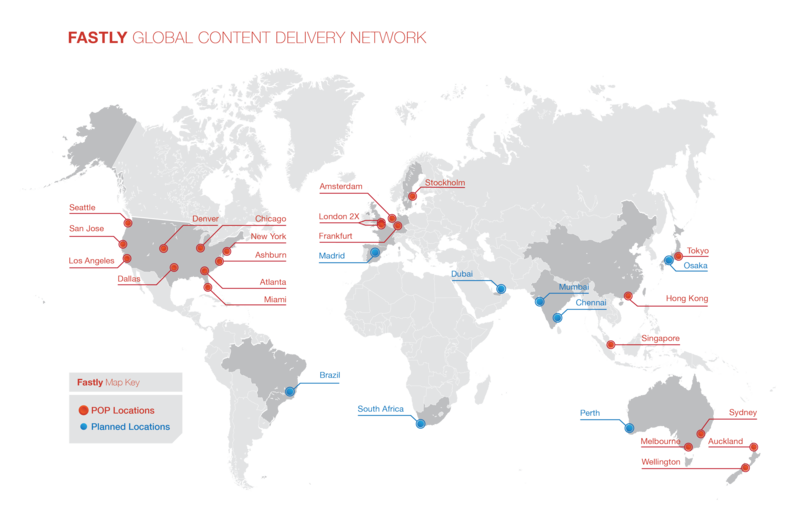 At Fastly, we’ve been steadily building the world’s most advanced CDN. Since our founding, we’ve expanded the public network to include 17 globally distributed points of presence (POPs) and are now serving more than 20 billion requests per day. For most of our customers, our public network is an excellent option. Occasionally, however, we’ll encounter a customer with uncommon requirements. For instance, some customers have special privacy concerns and others have too much information to efficiently cache on a shared network. After extensive testing, we load the servers with our custom caching software and ship them to locations chosen by the customer. Once they are racked and running, we connect them to our configuration and control layer and they’re ready to serve traffic. At this point, configuring services works exactly as it would on the public network. The customer can use the Fastly application to load custom Varnish configurations on their private servers. The control layer keeps the private cache servers separated from the public network, and they are only allowed to serve traffic for the customer’s specific websites. Fastly provides Private CDN customers with dedicated hardware that shares no data with the public network. This allows them to keep their SSL certificates in their own datacenters, segregate content from other customers, and keep full control over the machines, including who can access them. By placing POPs in their own data centers, Fastly’s Private CDN customers have the ability to manage their own network operations costs, data center rates, and bandwidth peering relationships. Building a Private CDN allows Fastly customers with particularly large working datasets to keep most of the information at the edge. Having more data at the edge increases the cache hit ratio and ultimately improves performance for end users. Storing large data sets is particularly appealing for video customers because they have very large storage requirements and can achieve a 100% cache hit ratio at the edge with the right private configuration. Finally, customers have the option of using a Public-Private hybrid approach. This works by keeping some of the content on the public network and other content in a custom, private network. The data can be partitioned however a customer desires: by geo-location, service, type of content, etc. This is a great option for customers whose sites can easily be cached on the public network but have internal services that need to remain private. Given the traditional difficulties in building a private network for a single company, Fastly makes it possible for a wide range of sites to run their own CDN, including small media companies and large social networks like Twitter (our flagship Private CDN customer). Fastly makes it easy to build your own CDN. If you’re interested please let us know by emailing support@fastly.com.